On this Hallowed Eve, I am very pleased to introduce you to Adam Haviaras, an archaeologist, who has turned his hand from digging the earth for artefacts to writing stories. Well, he is still a practising archaeologist. Adam has invested his passion for the ancient past and Arthurian lore into writing fiction steeped in history and the supernatural. A perfect subject for the impending Day of the Dead, just watch out for the headless horseman. I am glad to see the back end of 2015 although 2016 has started in the same vein but I will not dwell on it. To get things moving on my blog this year (I will get back to the series on the Minoans, promise!) I’d be grateful if people would spend a few minutes completing a reading survey. I promise it won’t take long. I did a test run and took me all of 5 minutes to complete. 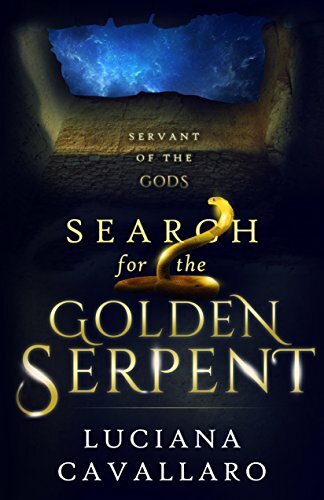 As a sign of thanks, you’ll be entered to win an eCopy of my book Search for the Golden Serpent and a $25 Amazon gift card. Please email me via the Contacts Me page to let me know you’ve participated, otherwise I can’t add you to win the prize! Thank you and all the best for 2016.